"Prada’s Miu Miu is looking to change how consumers communicate digitally by sponsoring the creation of a mobile application tied to its latest commissioned Women’s Tales film" as written yesterday on Luxury Daily. 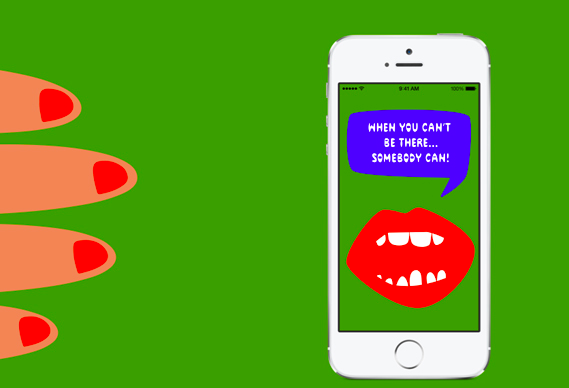 Miu Miu has tern up with artist and filmmaker Miranda July to design the "Somebody" app, whose features allow you to send a message to "somebody", a friend of yours, verbally, by a stranger nearby also having the app. It seem to be perfectly tailored for the current digital consumer, whose habits are mobile-centered. The app evokes sociability, is funny to use and authentic, emotions being one of the fey features. Miu Miu is one of the first luxury brands to release such a detailed and quality video. It's really fun to watch, ans "does a great job of highlighting the app and some of the absurdities of our digital culture, going as far as to include ‘the internet of things’ when a plant will be able to ask to be watered". Maybe that will become the next Whatsapp!, enabling people to connect together in a very unconventional way. It'd be the opportunity for people to deliver (or not) (your rating as a linker would depend on that) a great message to somebody and feel great about a good action being done, thus leading to the chance to interact with the people you delivered a message to and socialize. I personally loved the concept. It's like a game, you never know if you'd be sought to deliver a message, and you could also play some tricks to your friends by involving some well-rated strangers. The world is connected, we know that, but that's about connecting with the people you didn't have the chance to choose to connect with before. Luck and openness to the unknown will be part of the game. It's brilliant! Well, here's the video, have lots of fun watching it! Labels: App, Application, Art, Fashion, iPhone, Luxury, Miranda July, Miu Miu, Prada, Social Media, Socialize, Somebody, WhatsApp!